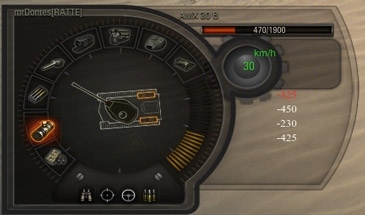 Damage panel from Bionick for World of Tanks 0.9.19 — is an interesting and functional panel. Damage panel from Bionick for World of Tanks 0.9.19 — is an interesting and convenient panel which, by the way, includes to ProTanki modpack. This panel replaced not beautiful standard picture on new with new features.